Guitar Center is an American based musical instrument retailer. With about 239 stores in various locations of United States is the largest chain of musical instrument retailer. The company was founded in the year 1959 and has its headquarters in Westlake Village, California, United States. The company provides a wide range of musical instruments, its recording equipment and accessories. Bain Capital owns Guitar Center Inc. The company has three main sectors namely guitar center, direct response, and Music and arts. The company also runs subsidiaries such as Music and Arts, Musician's Friend, GuitarCenter.com, LMI, Private Reserve Guitars, Woodwind and Brasswind, Giardinelli, Musician.com, and Harmony Central. There are currently 1 consumer reviews about Guitar Center, Inc available. Share your review. 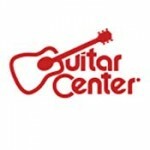 Please take a note that you are about to post a public review about Guitar Center, Inc corporate office on CorporateOffice.com. This review will be public, so please do not post any of your personal information on this website. If you would like to contact the corporate offices of Guitar Center, Inc, please use their contact information such as their phone number, website, and address listed above to contact them. However, sometimes staff from Guitar Center, Inc headquarters do read the reviews on this website.